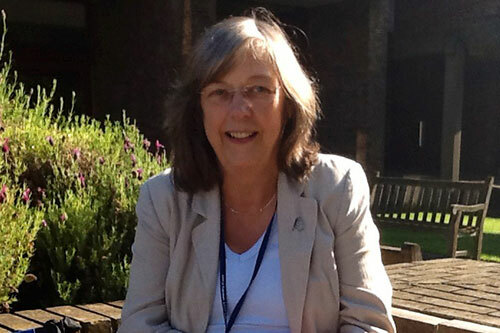 Roberta qualified as a Speech and Language Therapist in 1974, working for the National Health Service initially in Newham and then in Lewisham. Roberta’s area of specialist clinical expertise was dysfluency (stammering and stuttering) and she continued to support clinical work and teach in this area up until her retirement. At this time and alongside her clinical appointments, Roberta worked at CityLit running evening classes and the School’s strong association with CityLit continues to thrive in no small part due to Roberta’s endeavours. Roberta joined the University in 1982, as a Lecturer in the Department of Language and Communication Sciences and was Director of The Compass Centre, the on-site clinic within the Department of Language & Communication Science between 2003 and 2008. Roberta was on the Management Board of The Centre of Excellence in Teaching and Learning (CETL), which continues to be an excellent resource for healthcare education. She was promoted to Senior Lecturer in 2003 and continued to undertake key strategic roles in the department. In 2009 Roberta became Associate Dean for Education, Quality and the Student Experience, a role she both excelled in and enjoyed immensely. In this role Roberta took forward projects on curriculum design for delivery as part of a University group, the development of School wide innovations on assessment and improved the quality of information for students in respect of their programme and module information. She was instrumental in both improving the student experience in SHS but especially in encouraging student involvement in the School. She was totally committed to working in partnership with students always offering them tremendous support throughout her time at the University. A proud member of the ‘thirty years club’ Roberta undertook almost every possible academic role, including Head of Department, Programme Director, Module Leader, Director of Professional Education, Compass Centre Director, Admissions Tutor, Lecturer, Clinical Tutor, Clinical Supervisor, External Relations and Alumni Officer, Quality Officer, Personal Tutor, Student Research Supervisor and Senator. Roberta was a key member of the group of Associate Deans for Education and the University Equality Committee. She played a key role in the University’s graduation ceremonies, making full use of her perfect diction. The range of people who came to her retirement party from across the University was a testament to the impact Roberta had on her colleagues and the high regard and affection in which she was held. People spoke of her encouragement to others and the high quality of her work. Her enthusiasm and great sense of fun together with an amazing eye for detail and commitment to high quality education for health care professionals will never be forgotten.